An electronic press kit (EPK for short) acts as a digital resume of sorts for artists and musicians and is a crucial personal branding element for those looking to make a name for themselves. EPKs are used by artists to reach out to promoters, booking agents and media by giving them a summation of why an artist is sellable and how their personal brand may fit with a potential venue or blog. The way artists present themselves to media and booking agents is usually different than the way they choose to present themselves to fans. Whereas on your website and social media, you are seeking to connect with fans, earn new followers, sell merch and spread news about what you’ve been up to, in your EPK you must present a newsworthy angle about your career that is attractive for media outlets. Having an attractive, complete and branded EPK is the first step in telling an artist’s or band’s story, and is extremely useful in getting booked and covered by blogs when done effectively. Your EPK should evolve over time as you work on different projects and should also fit your personal brand and the look of your website. Therefore, we recommend hiring a professional to ensure your EPK looks professional, but to get you started on compiling the necessary content for your EPK, we’ve put together a list on some basic EPK essentials every artist needs to include. 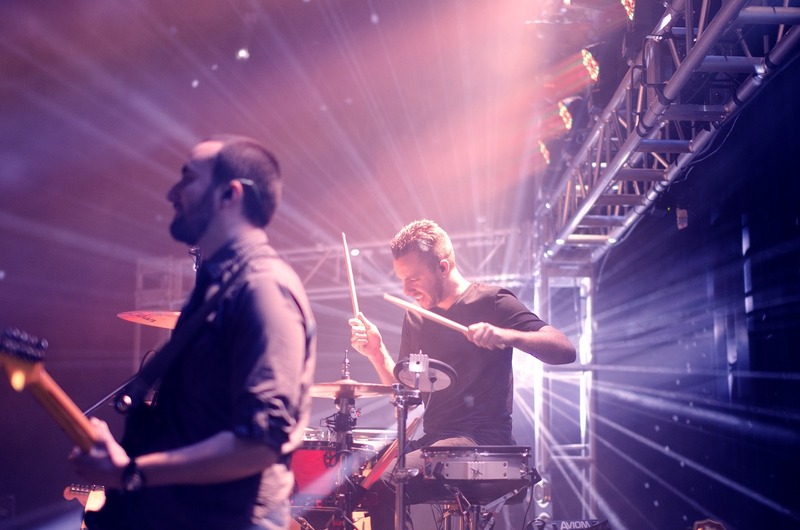 Band Pictures – If you want to have some control over how you’re presented on a blog, then make sure to have a supply of press-quality band photographs. Making it easy for the media to cover you boosts your chance of coverage, and images that don’t look professional can immediately hurt your chances of being booked or covered. Band Bio – Provide a compelling band bio that answers the who/what/where of your story and lets recipients know what makes you unique in contrast to the other artists they receive emails from. MP3 Files – It’s helpful to provide an entire album in a separate, password protected folder for reviewers and radio stations. Your files should be downloadable and you’ll want to make sure that your metadata is correct. You can also have Soundcloud, Bandcamp or Spotify playlists of your best work included to stream. Social Media Links – We shouldn’t have to tell you just how important it is to have a social media presence nowadays. Make it easy for your promoters to find you and learn about your online presence by providing that information for them in an easily accessible place. For many outlets and booking agents, your social media presence can indicate whether your fanbase is either large or engaged enough for it to be worth their time to cover or book you. Press Release – Enlist the help of a professional writer for assistance with objective content and coverage of new album releases. Hear from a music editor on do’s and don’ts when crafting a press release. Promotional Video – Powerful videos are great for conveying the energy and vibe of your music and fans, and can show how seriously you take your career. Album Artwork – Extend the reach of your promotional artwork by making it easily accessible for others. Again, make it easy for media to cover and promote you by giving them the tools they need before they ask. Album Track Listing – This is especially helpful for radio stations. Band History – Providing more history on the band is great for giving writers extra talking points and for helping readers connect to you. Latest News – Include this section to highlight recent events, accomplishments or announcements. One Sheeter – A one sheeter is condensed, 8 ½ x 11 “ document that contains multiple elements of your EPK in one place and can be easily distributed and shared. One of the most helpful pieces of advice that we can give you is to make your EPK live within a cloud space and feature it on your website. If your EPK exists primarily in a .PDF format, you will be unable to change that content once you have sent it out. Save yourself the hassle of needing to update your EPK every few months by keeping your EPK somewhere that is easy to revise. By hosting your EPK on your website, you will have the freedom to update documents and content as you please so that your EPK will always be up to date. Having an out of date EPK can be more harmful than not having one at all. Keep in mind that having a mobile-friendly website is also a crucial component of your digital marketing mix. Personal branding is an exciting and creative opportunity but is a challenge that is not always handled best alone. Wysidio understands the importance of not only creating a professional and comprehensive EPK, but also the importance of your EPK reflecting your website and brand. We offer a full range of personal branding services, such as EPK production, bio writing, graphic design, social media marketing and more. Ready to put your best brand forward? Check out some examples of EPKs we’ve recently completed for artists Tnertle and Ryan Viser and contact us below for an EPK consultation.